As we get closer to the end of times, with each passing day, we will see many profess what love means…but few will know what it means of an unconditional kind. As Jesus Christ demonstrated on the Cross, it is selfless, devoid of pride. 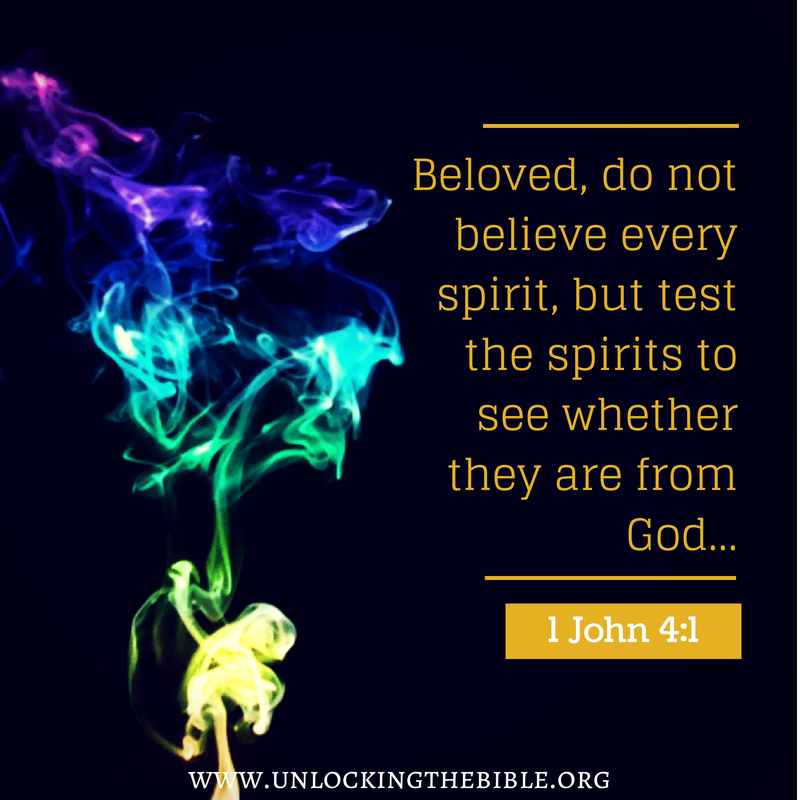 It has the Holy Spirit to guide such a soul rooted in it, to discern the deception of evil. God (Devum, Jehovah, Yahweh) has said, that those that know of Unconditional Love, will be bound to the Eternal Kingdom.And those bound onto the path to the Eternal Kingdom will be persecuted in a world that has lost the meaning and knowledge of what it means to unconditionally love. But Jesus Christ (Yesu Christu, Yeshuay) has said that remember while they persecute you….they persecuted me. To unconditionally love is the perogative of the strong….to conditionally love is the perogative by the weak. This is what we have to remember as those who decide to walk the same path of Jesus Christ. In a world lost to the Laws of Divine Love which consist of ways that are of unconditional love, mercy, and nonviolence…..God’s Children may look like they are losing in the worldly sense…..but to a God (Jehovah, Devum, Yahweh) that says His Ways are not of the world’s ways, but are beyond them….God’s Children will know that owning anything of this world, and having value for them means nothing in the Eyes of God the Father of Creation. Unconditional love means we have to love all…our enemies…our friends….strangers….family…all equally. This means apathy for anyone is not acceptable. To care about their feelings….at the same time, not being vengeful….filled with lust or wrath is not acceptable. Evil challenges those that challenge it.And those that challenge evil are those that chose to follow the ways of the Eyernal Kingdom, which are ways of Nonviolence, Unconditional Love, and Mercy. Being selfless in nature, and having the nudging of the Holy Spirit to nudge you, in guiding you what ways are that of the Eternal Kingdom, and those are not. To not give in to the flesh, and sinful human nature, but if done…immediately repentant. A heart rooted in God’s Unconditional Love will not be prideful to repent or to apologize for a wrong done. We have to remember that God and His Ways will be known by a few as we get closer to the end of times. And even with this crowd, it will be practiced by very few. God gives these people the Divine Strength to uphold what is right and wrong in His Eyes, and to uphold the ways of the Eternal Kingdom. We can not do this by our own strength, but by God, the Father who created us…providing the strength to overcome, and uphold. This entry was posted in Thoughts and tagged Armor of God, Battling Evil, conditional love, Devum, discernment, Divine Laws of Love, Divinity of Jesus Christ, enduring trials, Eternal Kingdom, evil ways are temporary, Fight over souls (good vs. evil), God's Love, God's ways are permanent, God's Wrath, Good vs. Evil, Holy Spirit Guidance, Jehovah, Jesus Christ the Ultimate Symbol of Unconditonal Love, Jesus' Unconditional Love, Justice for "the Just", Path to Truth, Spiritual Battles, Trials and Tribulations, Unconditional Love, Unconditional Love=Divine Source, Yahweh, Yeshu Christu, Yeshuay on November 23, 2015 by foodforthespiritualsoul. The Divine God, the Father of Creation, says His Ways do not conform to the ways of this World, but are beyond them. In fact, He goes on to further display this through the Earthly Life Example of His Son, Jesus Christ. Being God, He could have brought Him into this world, under the earthly riches of a King or World Leader. However, the things that are considered of great value in this world, have no value in God, the Father of Creation’s Eyes. God, the Father of Creation (Jehovah, Yahweh, Devum) does not conform to the ways of His Creation….since when does a creator conform to the ways of its creation? 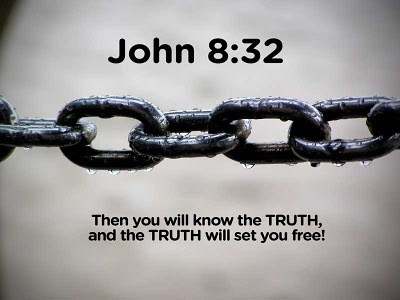 If His Ways do not conform to the ways of this world, and Jesus Christ(Yeshuay, Yeshu Christu) said, “If the world persecuted me….it will persecute you…”, then our spiritual journey will be filled with earthly trials. In fact the closer we get in our journey towards the Divine Eternal Kingdom of Heaven, the more harsh our trials will be. If God says His Ways are not of world’s ways but are beyond them, then whose ways are the world’s? It is the one who is in rebellion of God’s Divine Laws of Love….the evil one who seeks everyone to prove their loyalty to him….who tell us to only love those that love us back….and tells us it is okay to harm those that do not chose to “love him or them…as they are…”; while conditional love is returned back to you, require for themselves to be unconditionally loved…whom does not understand ways of Nonviolence, Unconditional Love, and Mercy. Satan and his demons. HOW STRONG IS YOUR FAITH THESE DAYS? Are you willing to see that God’s Ways do not conform to the ways of this world…and that His Rewards to the Eternal Kingdom, do not conform to the ways of this world? It will require a path that is travelled by very few…which is narrow…but straight. As easy as it may sound…..God already has the foresight to see that many will chose with their freewill, to give in to Satan and his demon’s wide….curvy path….that does not have the final destination of the Eternal Kingdom. However, through the death of His Son, Jesus Christ, He gave us one final chance to make the choice of choosing His Ways of His Divine Laws of Love. He wants people to truly make the choice to be loyal to His Divine Laws of Love….He doesn’t ask for us to prove it with every breath….He knows once we make the choice…that the conviction of feeling and sensing the truth of such love…will transform a soul permanently, and will not be shaken for the trial to which evil throws. 2. Keep yourself spiritually fed. 3. Remember the Ultimate Symbol of Unconditional Love….Jesus Christ, on the Cross, at Calvary. 4. Remember GOD QUALIFIES those who enter the ETERNAL KINGDOM…which is led by the Holy Spirit’s confirmation. And leads such souls to the path to His Eternal Kingdom. This entry was posted in Thoughts and tagged Armor of God, Battling Evil, compassion, Devum, discernment, Earth, enduring the trials, Eternal Kingdom, evil ways are temporary, Fight over souls (good vs. evil), God Qualifies Those He Calls, God's Eternal Kingdom, God's Eternal Love, God's Love, God's Promise, God's ways are permanent, Good vs. Evil, Guidance of the Holy Spirit, Jehovah, Jesus and His Crucifixion, Leading of the Holy Spirit, Persecution, Refiner's Fire, Satan's deception, Spiritual Battles, Spiritual Journey, Steadfast Faith, Take up your Cross, Trials and Tribulations, Unconditional Love, Yahweh, Yeshu Christu, Yeshuay on July 7, 2015 by foodforthespiritualsoul. What the Lord Jesus Christ (Yeshu Christu, Yeshuay) wants of our lives is to choose to break away from our sinful human nature; and to come to the realization of how much Unconditional Love, that God, the Father of all Creation has for Mankind. And how He gives ALL the equal opportunity to seek it, and know of it. But at the same time, we must understand that the ways of this world, has strayed so far from what He originally created for this world to be, based on evil and its pride and wrath. But Jesus Christ (Yeshu Christu, Yeshuay) conquered that on the Cross, at Calvary. He restored Nonviolence, Unconditional Love, and Mercy to Mankind. Now it is up to us, to make the CHOICE WITH OUR FREEWILL, to return back to it. And the only way to do that, is in the spiritual sense, which will require a transformation of the heart and soul. This is where change begins. Only God, the Father of all Creation, can restore the world we live in. Because that is how much we, as Mankind have chosen, to stray and rebel against God’s Divine Laws of Love; and to abide by evil’s temptations. Our transformation, begins from within us…which will then come to the surface of us. A TRUE CONVERSION of the soul. Jesus Christ…Yeshu Christu….Yeshuay….showed us that we have to uphold God’s Divine Laws of Love, at all earthly costs. Even if it means to the point of death of the earthly body. Because there is nothing worse than death a spiritual death. You see, He was teaching us to have the foresight in investing our spiritual soul to the Father of Creation. That the things of this world are temporary. And the way to invest in our spiritual eternity is not through worldly means, but by spiritual means, first. The investment by ways of the heart and soul…ways of Nonviolence, UNCONDITIONAL LOVE, and Mercy. This comes with a personal relationship with the Creator…a personal relationship with Jesus Christ (Yeshu Christu…Yeshuay)…a personal relationship with the Holy Spirit. We must always check the source…test the spirits of where our guidance is coming from. And this can only be done, by having a spiritual journey with the Creator, and in faithfully seeking His Divine Truth. There is a real truth in the end of all this….our eternal destiny depends on it. There is a battle between good and evil. Whether we want to recognize it or not. Mankind has consistently chosen to side with evil, despite the unconditional love our Creator from above, so abundantly gives. 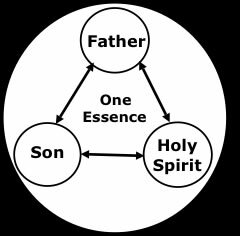 Either providing it, one on one…through His Son, Jesus Christ, and the gently nudgings of the Holy Spirit. Despite the fear that evil may try to instill in us, within our daily trials and battles. We must understand that God’s Ways are beyond all of that. His Ways do not conform to His Creation, that is the world. His is beyond them. Only His Creations can be confined to the ways of the world, as another creation. So why side with the losing side? In the end, good always wins. God knows He wins. Otherwise, He would not have sent down His Son, Jesus Christ, to die, and provide the blood covering, as His Sacrificial Lamb, to save Mankind; His most precious Creation. He sent His Son, to protect us, from an eternal damnation, as our destiny. There is POWER in the NAME OF JESUS CHRIST….YESHU CHRISTU….YESHUAY. This entry was posted in Thoughts and tagged A call to help fellow man, Armor of God, Battling Evil, compassion, Devum, discernment, Earth, enduring trials, Eternal Kingdom, Eternal Paradise, Evil, evil ways are temporary, Faith, Fight over souls (good vs. evil), Garden of Eden, God, God's Love, God's Promise, God's ways are permanent, God's Wrath, Good vs. Evil, Holy Spirit, Jehovah, Jesus, Jesus and His Crucifixion, Jesus Christ, Path to Truth, Persecution, Satan, Satan's deception, Self Refinement, Spiritual Battles, Spiritual Journey, Steadfast Faith, Take up your Cross, Trials and Tribulations, Turn the Other Cheek, Unconditional Love, Yahweh, Yeshu Christu, Yeshuay on August 7, 2014 by foodforthespiritualsoul. Our purpose, with the earthly lives given to us, is to follow God’s Will of our lives. God’s Will is what the Lord Jesus Christ, wants of you. And what the Lord Jesus Christ wants of you, as well as fulfilling God’s Purpose, can only be achieved by seeking and accepting the Guidance of the Holy Spirit. And what many misunderstand is that the Guidance of the Holy Spirit is not so freely given, or distinguishable. The Holy Spirit must approve our Spirit/Soul as fertile ground for it to dwell, and to guide. It is not something we earn, or learn about. It comes with a complete surrendering of the human self to the Almighty God, the Father of all Creation and Universe….Devum, Jehovah, Yahweh. It comes with consistently cross checking yourself (NOT OTHERS) against God’s Divine Laws of Love, as that which was lived and taught by Yeshu Christu…Yeshuay…Jesus Christ, as His Son, that roamed this earth. It is about a complete transformation of the human self, to disconnect from the human nature that became vulnerable to sin, upon Satan’s temptation of Man, since the beginning of time, in the Garden of Eden. And Man, accepting his temptation, leading to sin. As a result, Mankind since then, are born as sinners. By nature, we were given freewill to choose. And since then, we chose many times, to fall to evil’s ways, by rebelling against the Divine Laws of Love, which consist of Nonviolence, Unconditional Love, and Mercy; through which Jesus Christ (Yeshu Christu, Yeshuay) showed while He roamed this earth, died for the sake of saving Mankind, and resurrected to be at the Right Hand of God (Devum, Yahweh, Jehovah), in the Eternal Paradise. Because we are born as sinners, based on this, we have to become BORN AGAIN,in mind, body, and soul; with a complete surrender to our Creator. We have to become dead to the ways of this world which is reigned by ways that are not of Divinity. We have to use our freewill to become born again, to ways of Divinity. We have this choice to make, everyday. This requires to keep ourselves in check, in avoiding to committing acts that rebel against God’s Divine Laws of Love….the 10 Commandments….and even in committing the 7 Carnal Sins [1) Greed; 2)Gluttony; 3)Sloth; 4) Pride; 5) Envy; 6) Wrath; 7)Lust]. You see, we have to hold ourselves accountable not only in our actions, but also in our thoughts. And the strength to do this, in ways that are acceptable in the Eyes of God, the Father of all Creation…is through studying the Life Example Jesus Christ (Yeshu Christu, Yeshuay) left us; and through faithfully seeking the Guidance of the Holy Spirit. And in this process, we also have to help our brothers and sisters to see the Truth that God, the Father of Creation, has revealed to us, and to seek the same for themselves and all those around them. We have a lot to work on, of ourselves, if this is the case. There are the things that are obvious for us to see, to which we know we have to fix of ourselves. Then there are things that we do not see, to which God sees, that are in direct violation to His Divine Laws of Love. This is why a personal relationship with Jesus Christ (Yeshu Christu, Yeshuay) is vital in the entrance to the Eternal Paradise. This is not something that can be taught, or learned to gain purity of mind, body, and soul. It is something to which the Holy Spirit dictates within someone. When the Holy Spirit sees a fertile ground within someone, this is when it takes root. And will help the person to discern what is in accordance to God’s Laws of Divine Love, and that which is not. God’s Children, and their obedience to God’s Divine Laws of Love, can not be mimicked or imitated. However, the Truth to which their soul holds, will be undeniable to both good and evil, that exists, in spirit. This entry was posted in Thoughts and tagged A call to help fellow man, Armor of God, Battling Evil, Born Again, compassion, Devum, discernment, Divine Truth, Divinity of Jesus Christ, Earth, enduring trials, Eternal Kingdom, evil ways are temporary, Fight over souls (good vs. evil), God's Eternal Kingdom, God's Love, God's ways are permanent, Good vs. Evil, Holy Spirit, Jehovah, Jesus and His Crucifixion, Jesus Christ, Refiner's Fire, Satan, Satan's deception, Spiritual Journey, Steadfast Faith, Trials and Tribulations, Turn the Other Cheek, Unconditional Love, Yahweh, Yeshu Christu, Yeshuay on August 5, 2014 by foodforthespiritualsoul. What Jesus Christ says about Spiritual Death vs. Physical Death….. 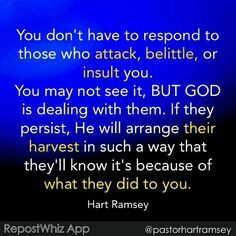 This entry was posted in Thoughts and tagged Armor of God, Battling Evil, compassion, discernment, Divine Unconditional Love, enduring trials, Eternal Kingdom, God wants TRUE Believers, God's Eternal Kingdom, God's Truth, God's ways are permanent, God's Wrath, Good vs. 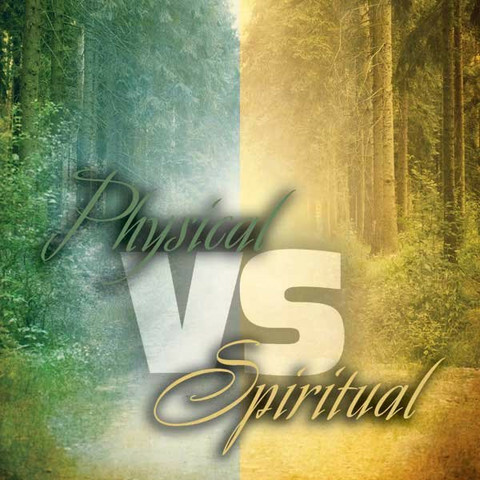 Evil, Jesus Christ, Jesus Christ's Crucifixion, Path to Truth, Religion & Spirituality, Spiritual Battles, Spiritual Death vs. Physical Death, Steadfast Faith, Take up your Cross, Turn the Other Cheek on June 20, 2014 by foodforthespiritualsoul.